The Krazy Kraft Lady: DO YOU LIKE OWLS? I used to collect owls, back in the late 70's and early 80's. I had dozens. They were mostly porcelain owl figurines, but after a while, I got tired of them and moved on to a 'new' collection. Once again I've fallen in love with owls, this time WOOL owls. 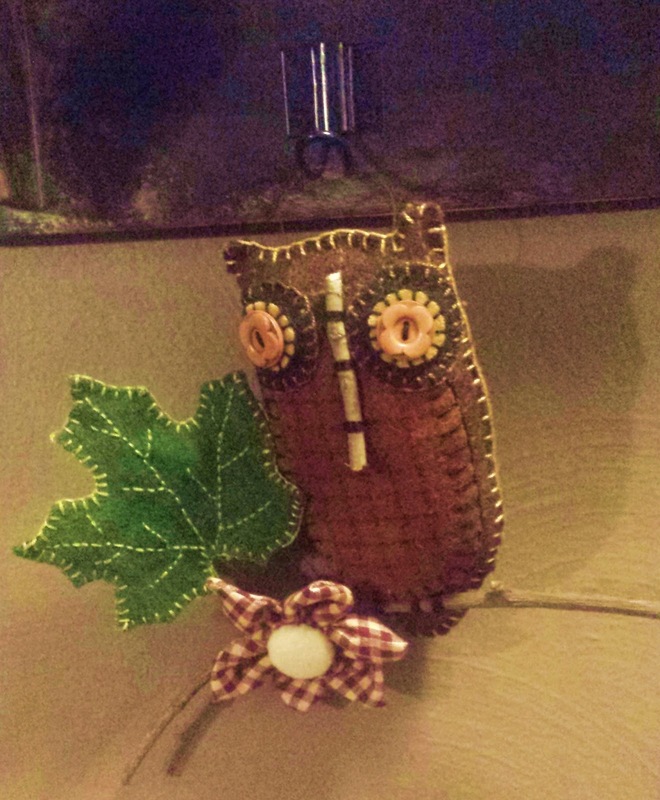 I made this one for my eldest daughter Deana to hang on her peg shelf in her hallway. Both of the owls below are available for sale in my Etsy Shop & Selling Blog. I only accept Pay Pal and Money Orders on my blog BUT my Etsy shop is set up to accept Credit Card / Debit Card payments! These are all hanging off shelf pegs, but also look great hanging on cupboard door knobs.